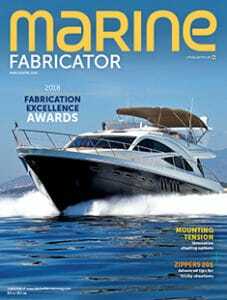 Check out a great article in the March/April 2018 issue of Marine Fabricator magazine, featuring a comparison of different types of exterior boat flooring, including PlasDECK. 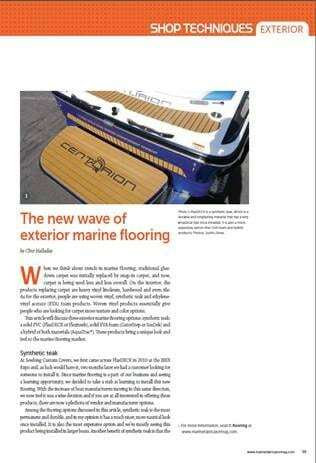 This article is The New Wave of Exterior Marine Flooring by Clint Halladay and it can be found on pages 39-42 of the print edition. A special thank you to Clint Halladay (at Sew Long/ Innovative Marine Canvas in Slat Lake City, UT), for writing the article and for the beautiful PlasDECK deck photos.